Don S. Shoemaker is Mexico´s most accomplished Mid century furniture designer. His furniture masterpieces in tropical woods from the 1960´s and 1970´s are becoming important examples of 20th century design. 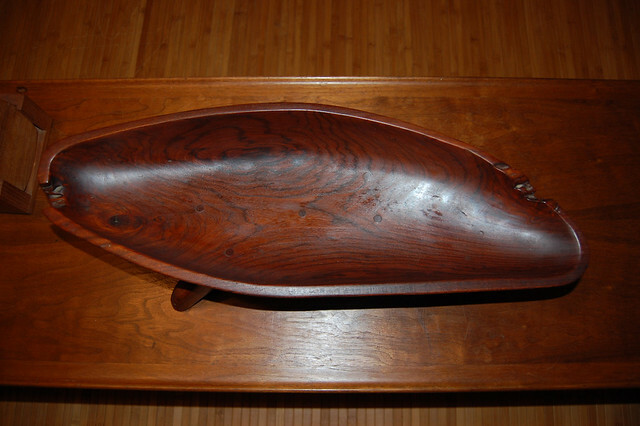 The precious woods used to produce his organic forms were unmatchable by any other furniture designer of his time. When I refer to his organic designs, I am talking about a marvelous wood prototype I had the opportunity to see, sit and enjoy, which was the base of what we know now as his simple “SLING” chair, made in some sort of bone shape disposition. I will show samples of his original designs and furniture models. I invite you all to share in this blog comments and pictures of your Don S. Shoemaker original furniture pieces. Lately I have seen a wide range of fakes or attributed pieces on sale on the web, in magazines, at auctions and even on renowned showrooms. This is an invitation to fight for the purity of Don S. Shoemakers lifetime work that I am sure every owner of a chair, stool or table of the real SEÑAL, S.A. production will share with me as long as when you own, care and cherish your solid tropical wood piece you become a “Shoemakeristi” and we do not want the corruption of his designs and name. During the decade of the 1970´s Don also experimented with linear designs, he challenged the traditional boundaries of functional design and created the renowned “Diamond Line” or sometimes called the “Z” models. Built in stack-laminated wood this line became very well known through his iconic “diamond desk”, which was used by Jacobo Zabludovsky, one of Mexico´s most famous newscasters on his daily TV program. Unfortunately there are many new copies of this desk in the market; street tales say that only a total of 25 were produced but the unlabeled desks currently on sale might be easily ten times that number. If the piece seems odd, the leather is brand new, the wood looks new and smells like new and carries no label or stamp or is taped then it is a new copy! © Karin Goyer and Don S. Shoemaker Furniture, 2010-2019. Unauthorized use and/or duplication of this material without express and written permission from this blog’s author and/or owner is strictly prohibited. Excerpts and links may be used, provided that full and clear credit is given to Karin Goyer and Don S. Shoemaker Furniture with appropriate and specific direction to the original content. Sorry to leave this as a reply but I didn’t see any other contact link. 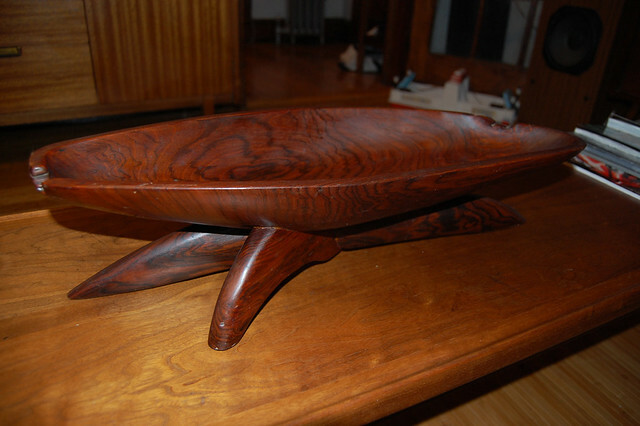 I was wondering if you could help me figure out whether or not a bowl I just bought is authentic Shoemaker or not. It really wouldn’t matter if it was or not, we are in love with the piece either way – we’re just curious! The dealer only told us that it was 50s and the area of Mexico it was made was known for their work with Rosewood and other exotic woods. I did some research on the region and came up with the Señal name. We had previously not been familiar with Shoemaker at all. I’ve linked my photos as well as the link from the dealer’s site which has the label detail (we paid much less than what’s listed). The mark on the bottom just says ‘Hecho En Santa Maria, Morelia, Mich.’ but nothing about Shoemaker specifically. There are no nails, the legs are held to the base with pegs. Great blog, by the way. We went from never hearing this name before to completely falling in love with his work! Don Shoemaker was my father’s cousin. This looks similar to a bowl he made for his mother. I have a catalog for Senal gift shop. Had no idea people collected his work.